The Korg Soft Case for KingKorg and Krome 61 is a premium-grade transport bag designed to accommodate the Korg KingKorg or the Krome 61. 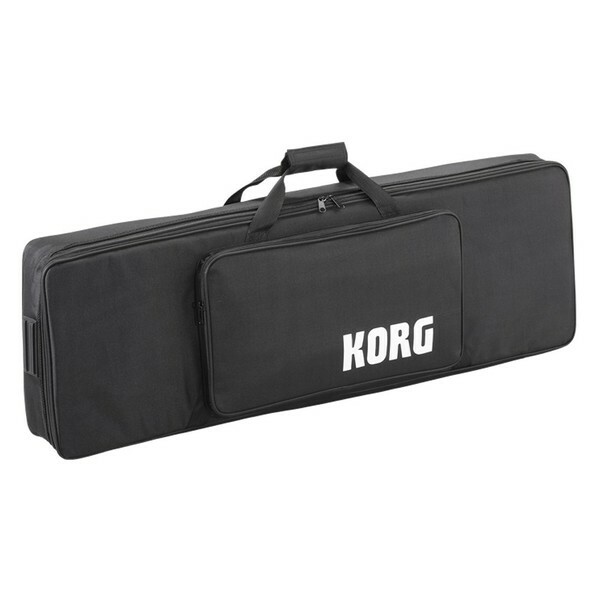 The sleek soft case is constructed from hard-wearing fabric, designed to protect your instrument whilst on the move. 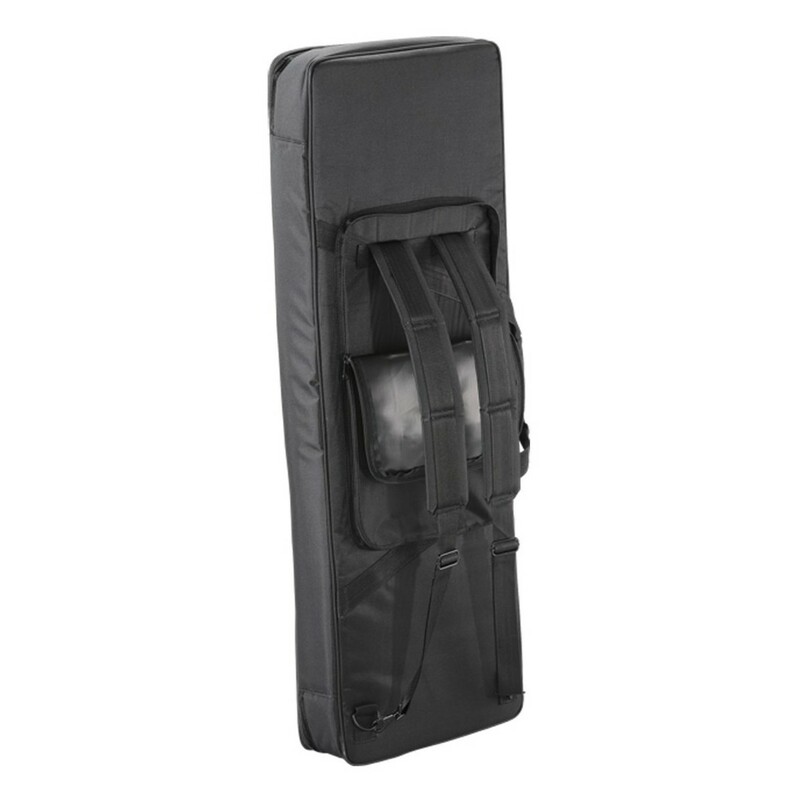 The versatile design features an integrated carry handle, as well as backpack straps, allowing you to transport you case with ease. It also includes a handy zippered front-pouch, ideal for storing accessories such as cables and power supplies. 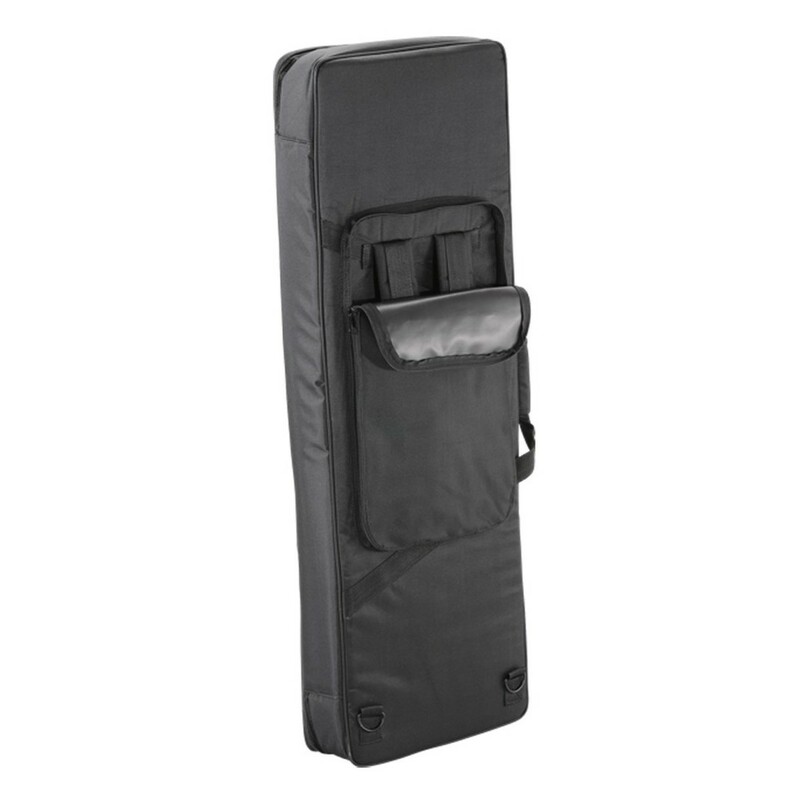 The rear of the soft case can be unzipped to reveal the backpack straps or used as additional storage space. Rear zippered pocket reveals backpack straps. Can also be used as a second pocket.